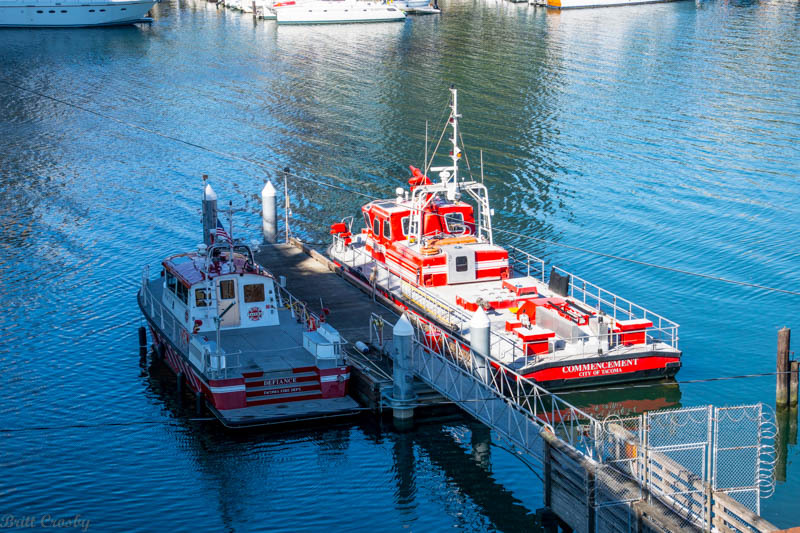 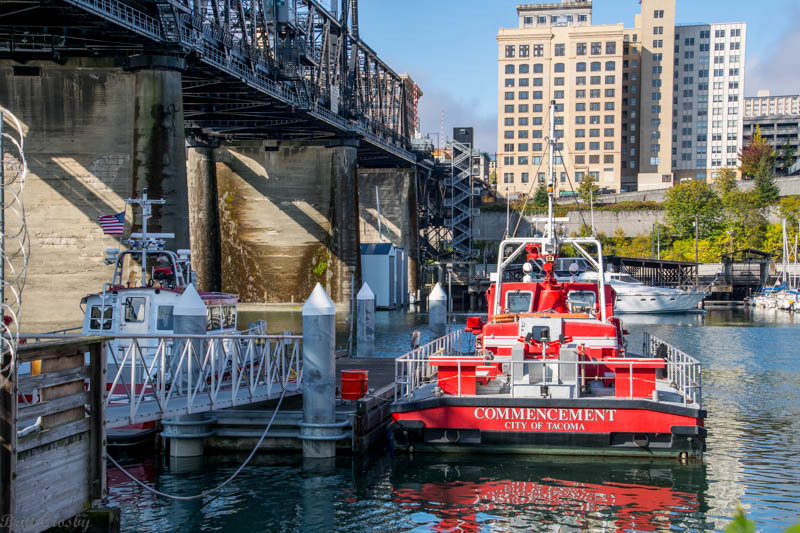 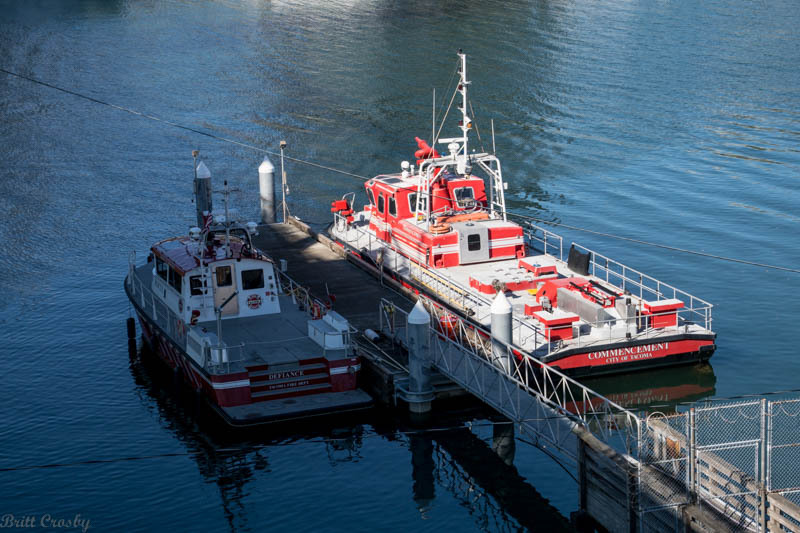 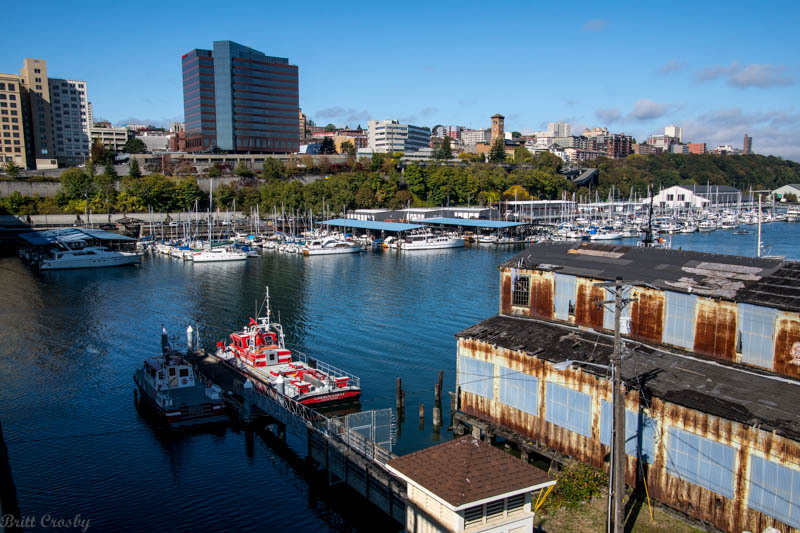 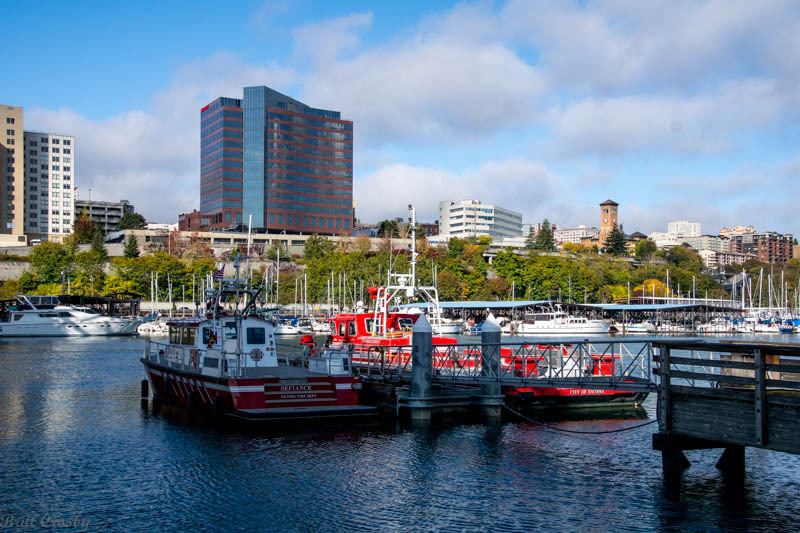 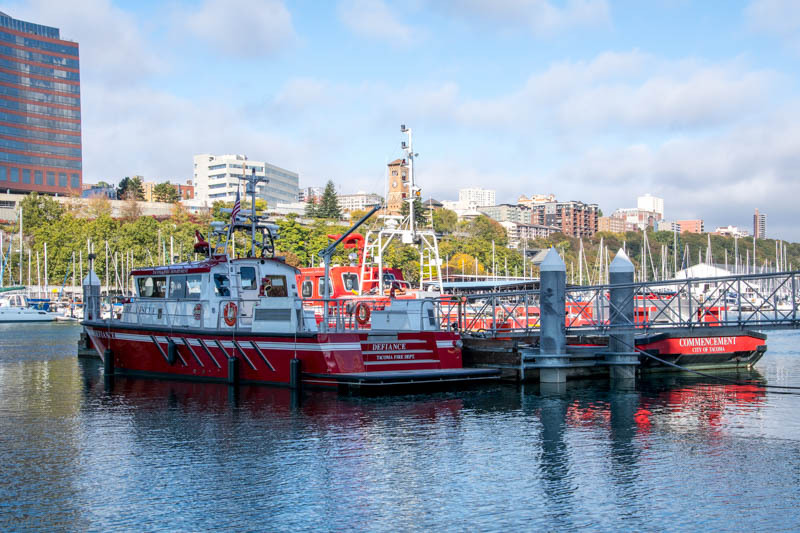 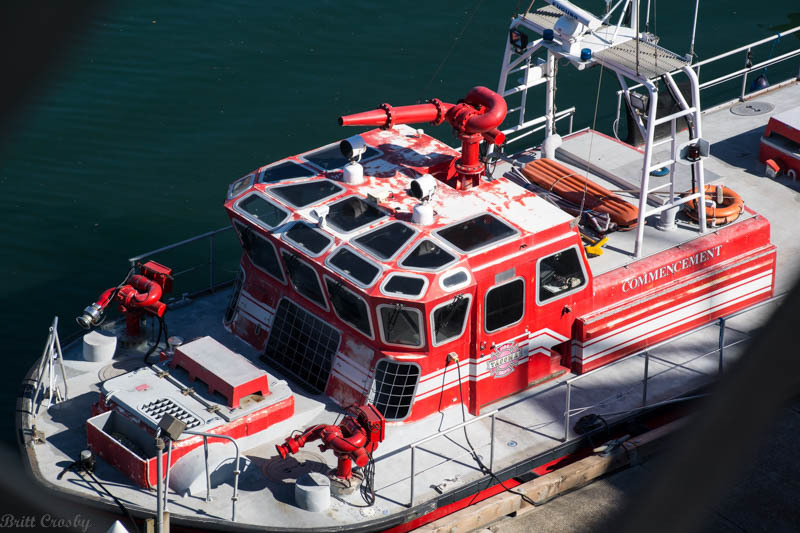 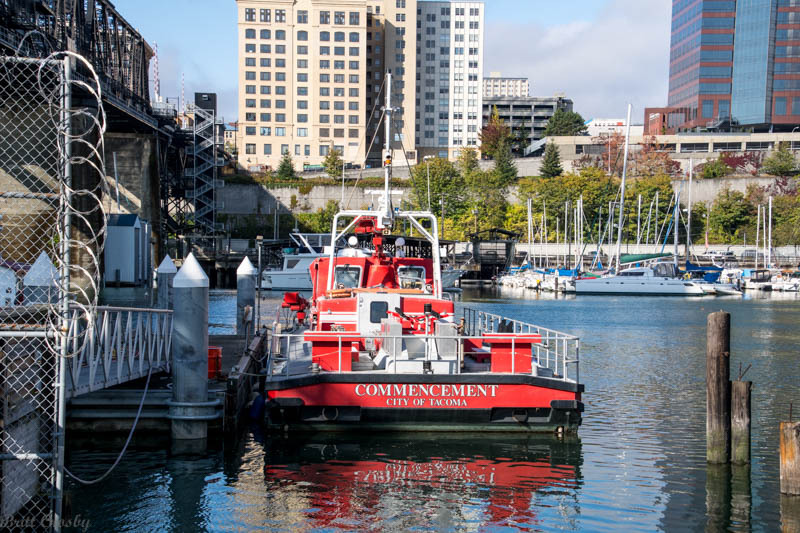 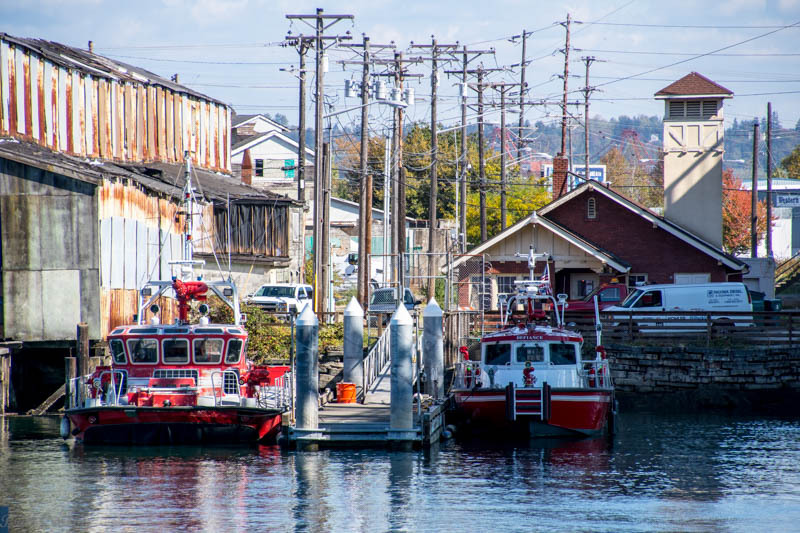 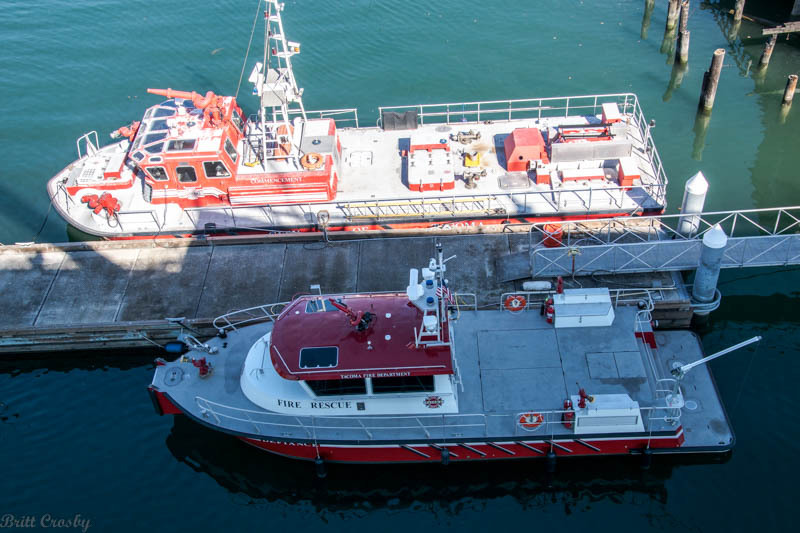 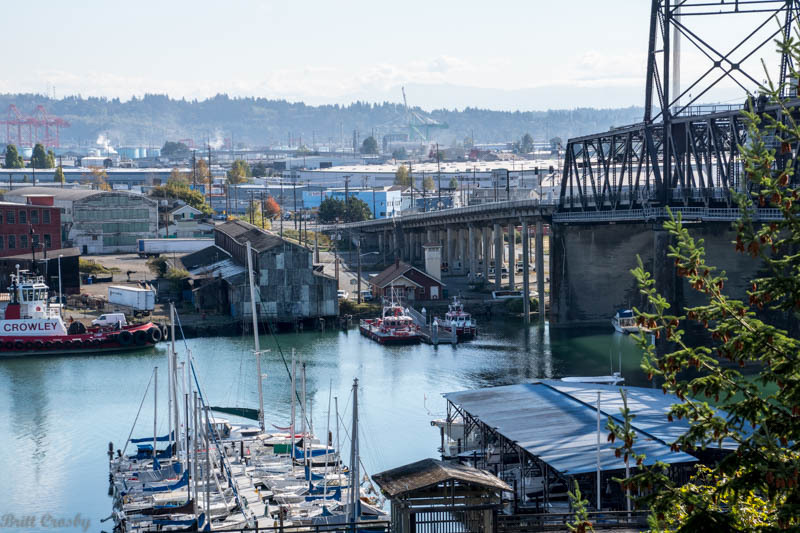 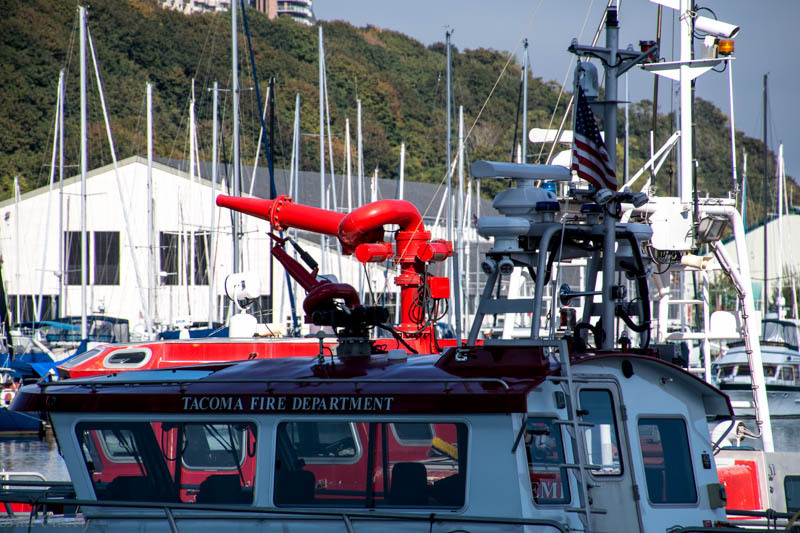 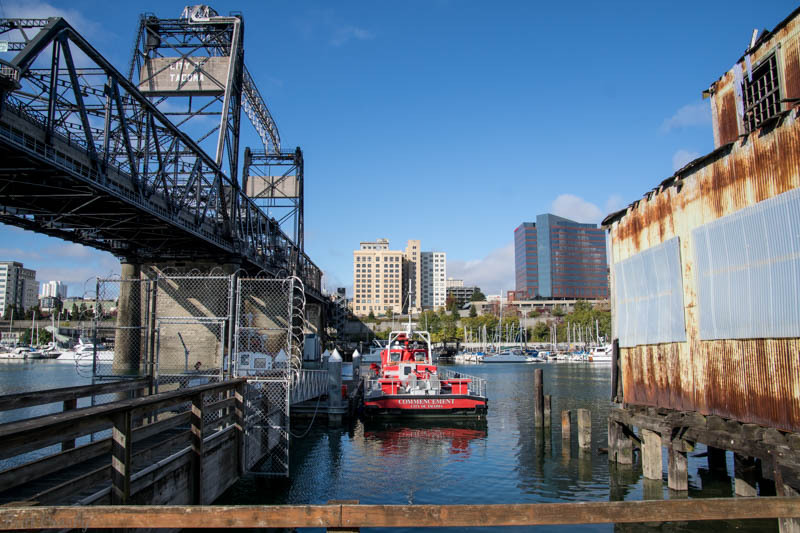 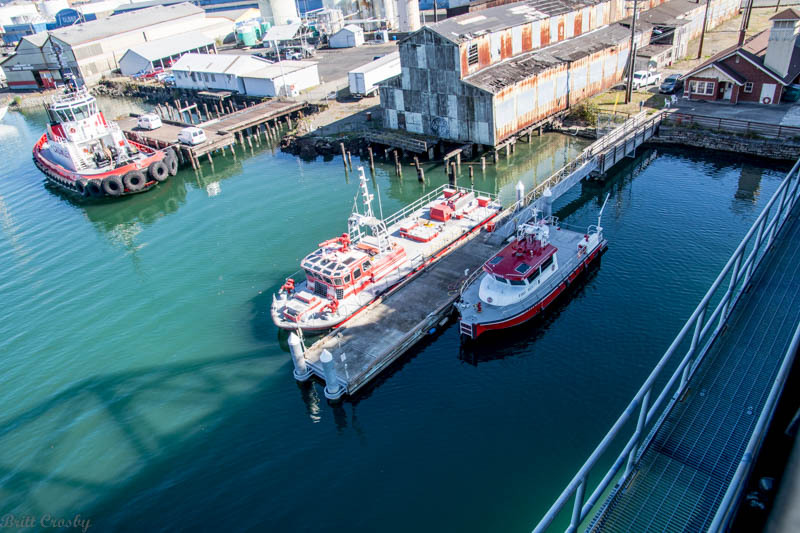 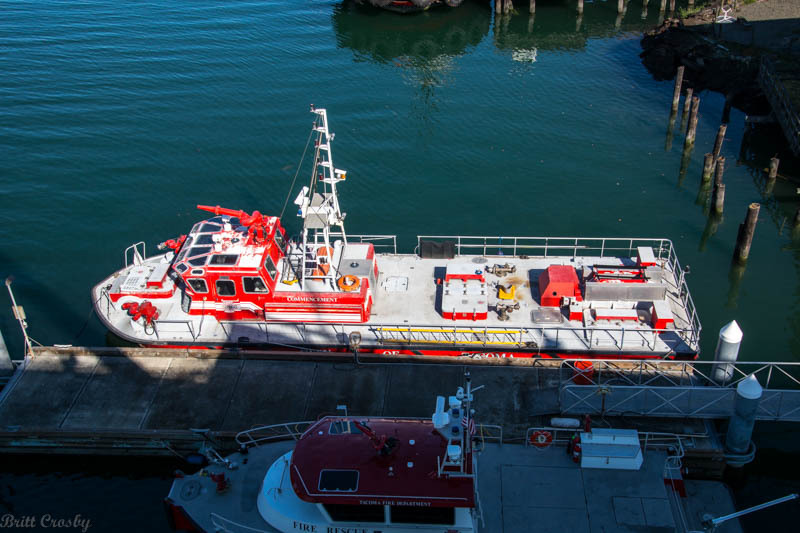 The City of Tacoma, WA currently operates 3 fireboats. 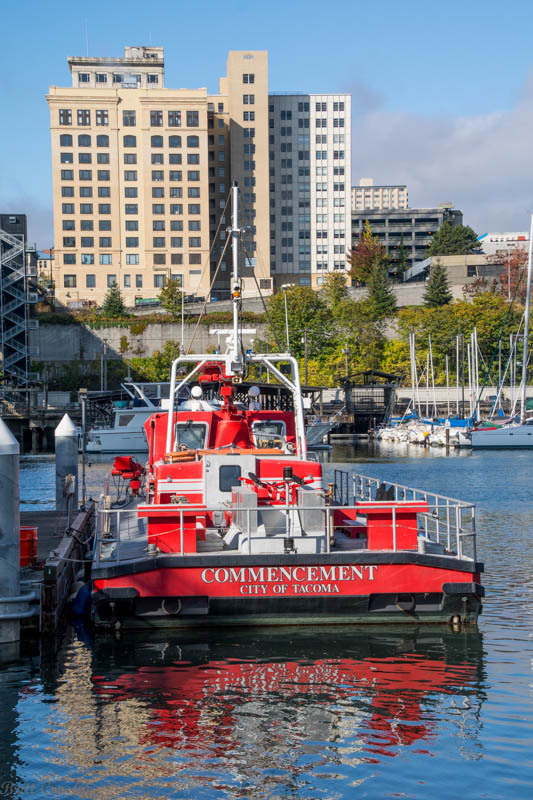 The Commencement, Defiance, and Destiny. 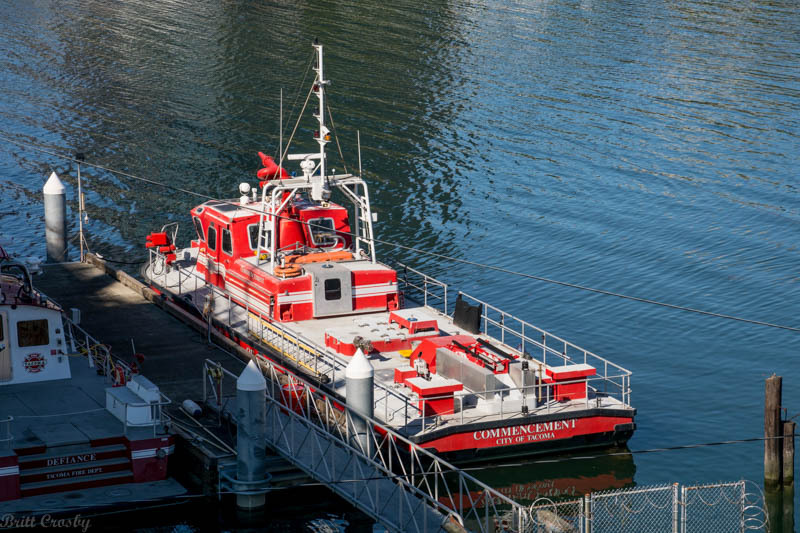 some lift with the idea of increasing speed and maneuverability with limited staffing. 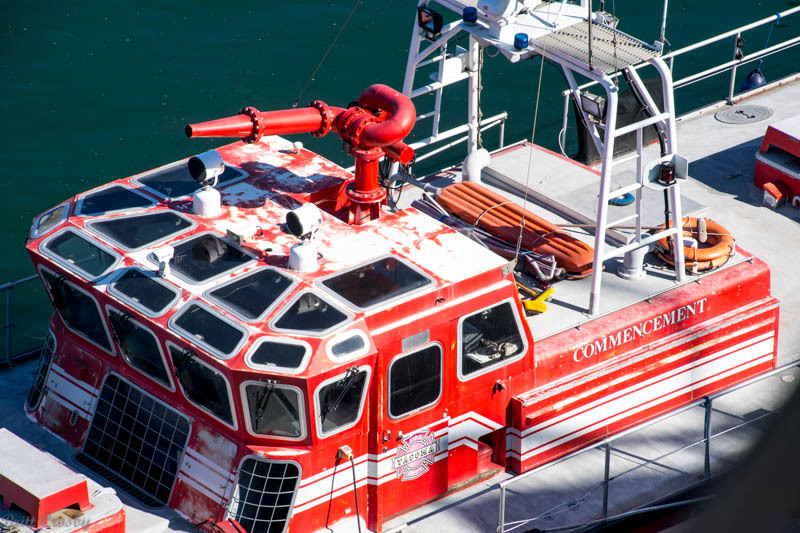 that of the 54 year old Fireboat 1 (built 1929) at the time which pumped 12,000 gpm. 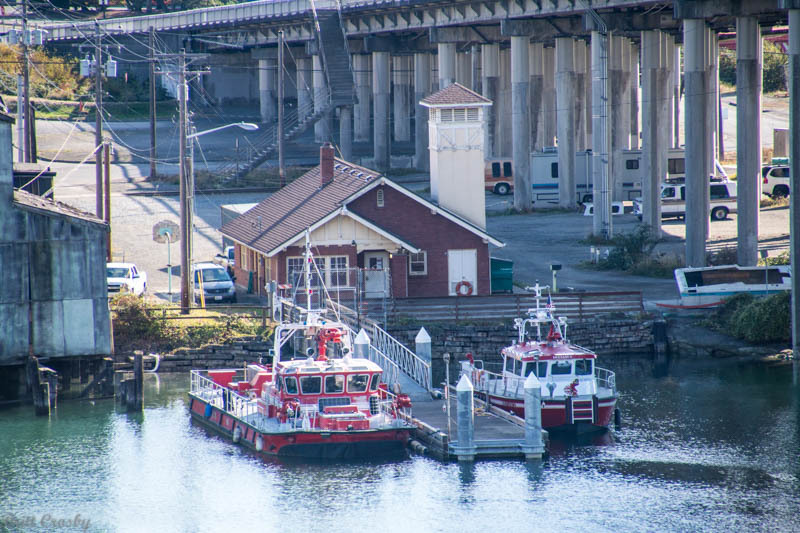 Both were originally painted the lime yellow color of the 1980s. 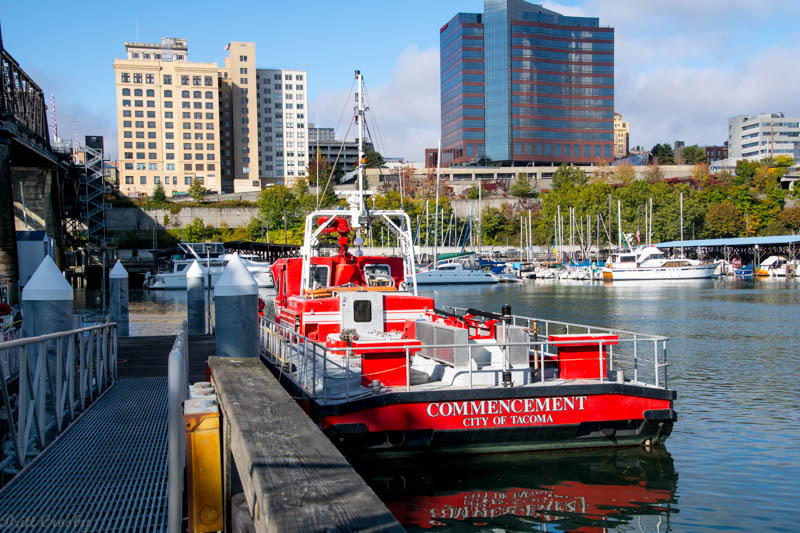 The Commencement is the only remaining and was rehabbed in 2005.
of service and replaced by a new Defiance in 2015.
at what was once Station 18. 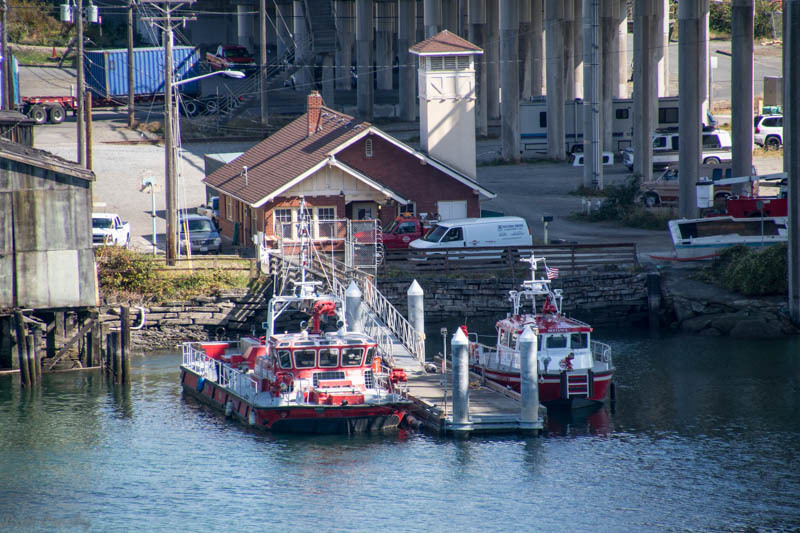 Presently staffed by a crew from Station 6 just up the street. 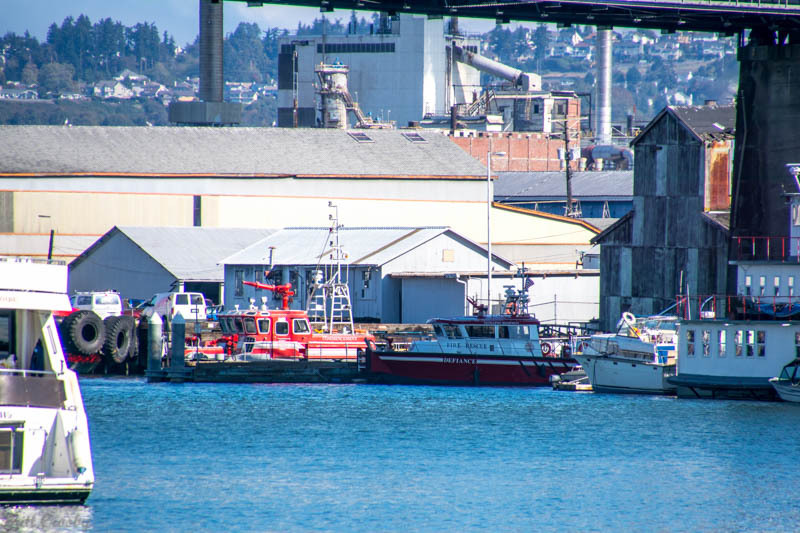 at a dock at Point Defiance Park. 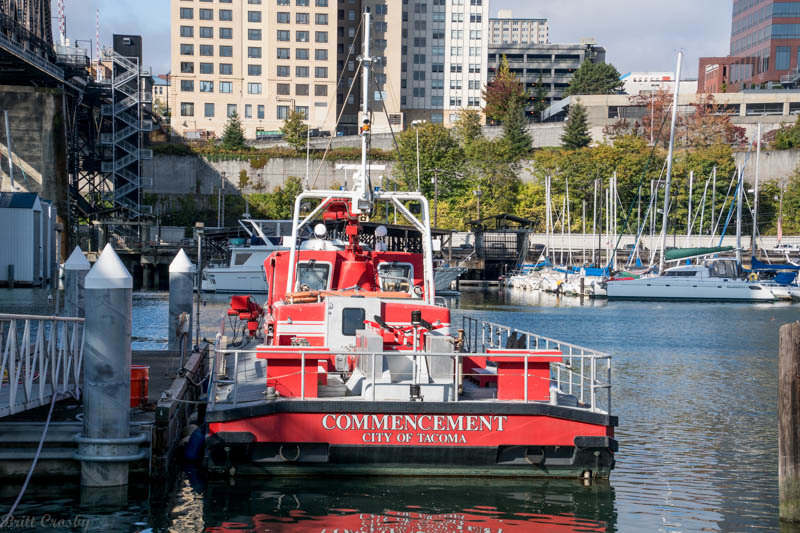 The Fireboat Commencement along with the newer Fireboat Defiance. 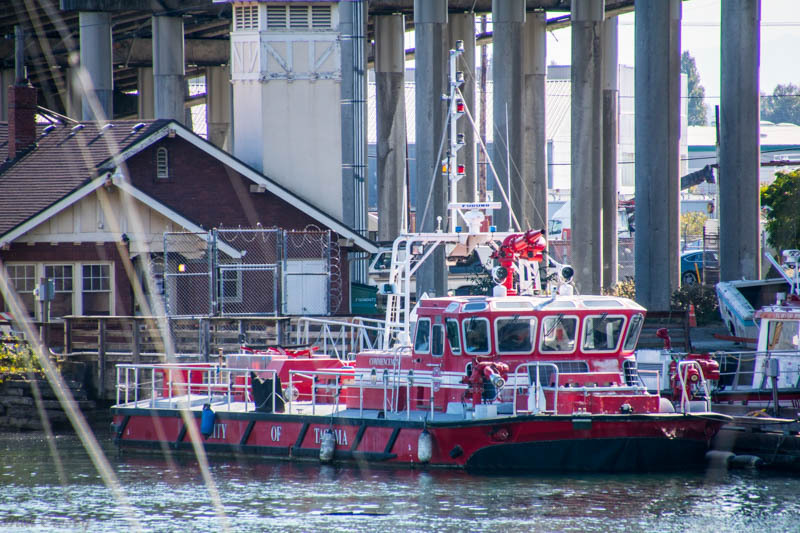 Located at the dock below the 11th Street bridge.